The Subaru isn't your typical sedan. Designed to take you into the future and help you arrive at your destination on time, this vehicle is loaded with features to make your ride more enjoyable. Come check out this vehicle and learn about our specials to Denver residents. 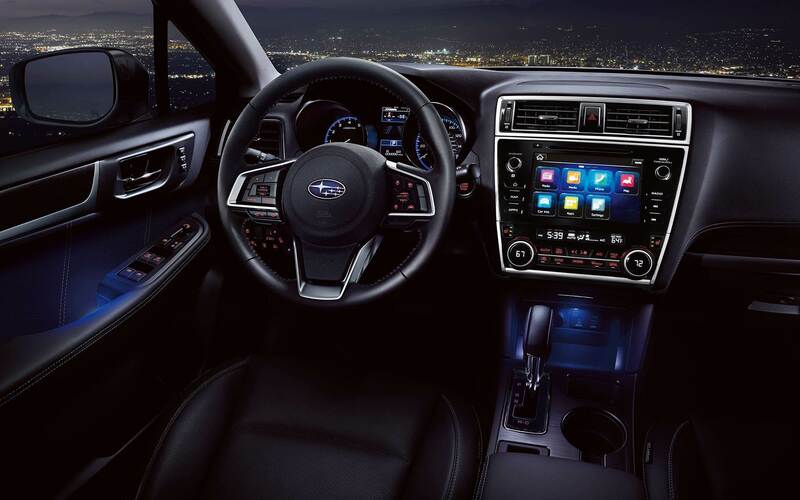 Our Flatirons Subaru dealership will take you through the most important technology features, and you'll be able to take home a Subaru Legacy today. This vehicle offers a ton of features and our dealership will help you get the most out of your next vehicle purchase. This vehicle features an aerodynamic design and has several advanced features to help you stay safer on the road. You'll love the LED headlights that help to provide a clear view at night and the fog lamps that make it easier to cut through misty mornings. The vehicle comes with several color options, and you'll be able to personalize the colors to match your own personal interests. The handles are designed to match the vehicle, and you'll love the outstanding wheel design and sleek outline of this vehicle. Our specials to Denver residents will help you stay in touch and get the best possible rates for your vehicle. 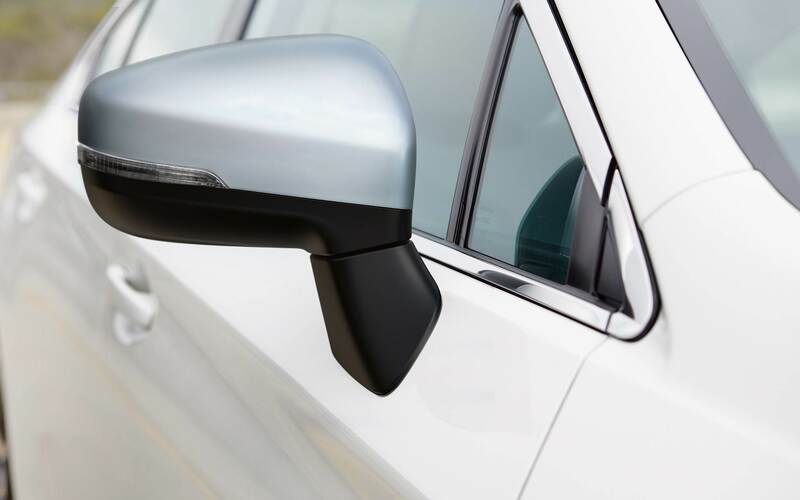 When you contact our Flatirons Subaru dealership, you'll be able to experience the sleek exterior for yourself. 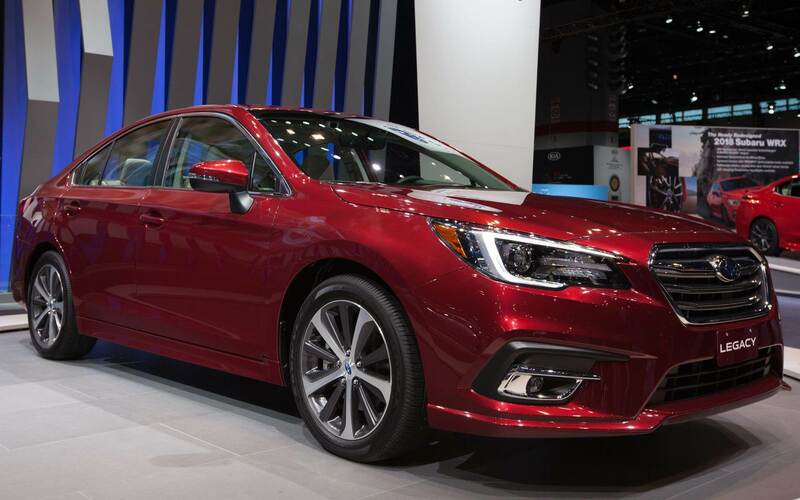 Come and check out the Subaru Legacy and find out how you can drive one home today. Starting with the soft-touch materials, you'll find the entire experience of driving a Legacy truly exceptional. Choose from the option of getting leather-appointed seats and a leather-wrapped steering wheel to help you get the most out of your driving experience. You'll also be able to enjoy the latest hands-free technology to control your navigation system and music. The Legacy is a vehicle that was custom-made for you, and you'll love all of the amazing features and options that will help you stay connected and get more accomplished. A keyless push-button start, memory seating and heated seats in the rear of the vehicle, as well as the front, are all available options. 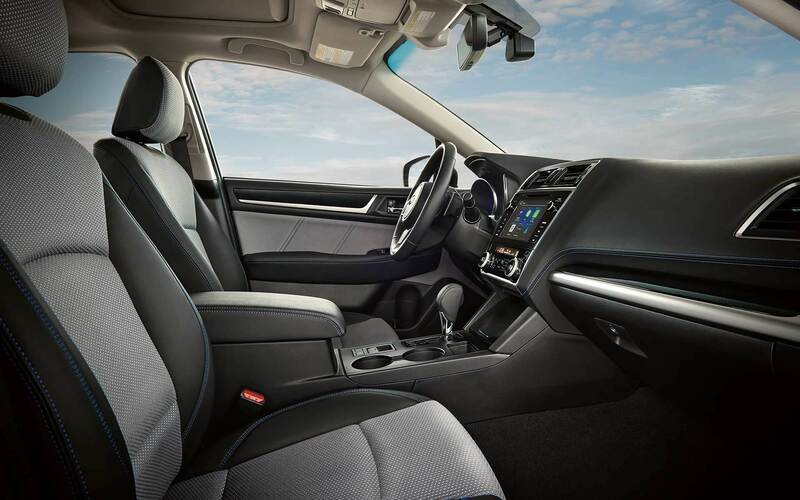 While we could discuss the many reasons why the interior of the 2017 Subaru Legacy for sale near Denver Colorado is the best option for you, it's best to come down and experience the 2017 Subaru Legacy in person. We have some incredible options for the individual who is interested in a dealership that has the Legacy for sale. The symmetrical all-wheel drive system is designed to help you gain more stability on the road. You'll love the way the vehicle is designed to help get you where you're going with fewer bumps and jostling along the way. Vehicle Dynamics Control provides a more stable and sharper handling experience, and you'll benefit from the system that is able to automatically sense your steering and provide subtle braking to help keep the car solidly planted on the ground. When it comes to finding the best mechanical features in a vehicle, our 2017 Subaru Legacy for sale near Denver Colorado comes pretty close to meeting all the criteria. The 2017 Subaru Legacy is designed for the adventurer who wants to buy a Legacy for sale that will take them to the next level. Choose from two possible engines to ensure you have the power you need to get more accomplished. The Subaru Boxer engine comes in a four and six-cylinder engine option. The four-cylinder engine offers a 2.5L engine that provides good fuel efficiency and power. The 3.6L engines give you more power, but you'll use a bit more fuel to run the engine. Both options are exceptional choices, and we can help you decide which option is the best for your situation. We have a variety of specials to Denver residents who want a powertrain that will take them over the edge. 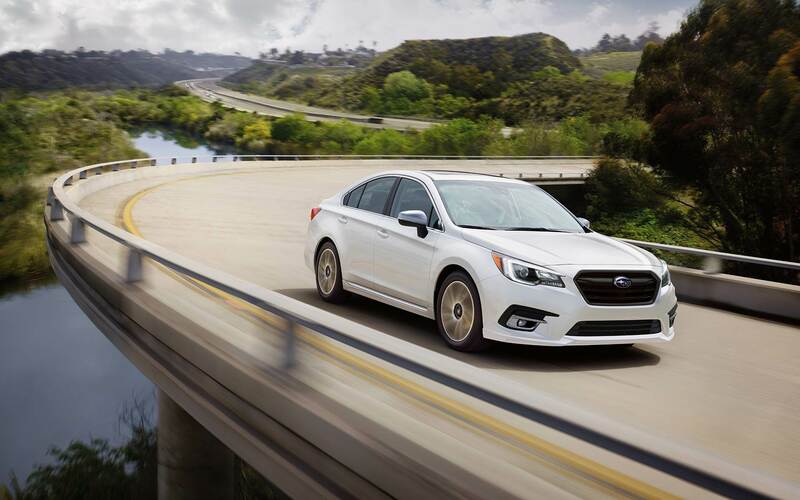 Our Flatirons Subaru dealership will help you get more accomplished, and you'll love our offers on Subaru Legacy models. Come down and see our selection of vehicles and find the vehicle that meets your needs. There are several safety features to help make sure you get where you need to go safely. The all-wheel drive system gives you more stability. The anti-lock brakes help you stop more efficiently and quickly. A traction control system and tire pressure monitoring system will help you enjoy a more stable overall ride. Daytime running lights ensure you're always visible on the road, and the blind spot detection system will spot the cars you don't see. EyeSight Driver Assist is intended to help you see more of the road as well so that you can avoid a potential accident. Safety is the most important criteria in an adventuring vehicle that will help you get more accomplished while staying safe. When you come down and see our 2017 Subaru Legacy for sale near Denver Colorado, you'll be able to get a vehicle that will help keep you protected and secure. Come down to our dealership and experience the 2017 Subaru Legacy for yourself. We will help you pick out a Legacy for sale that will meet your needs and expectations. Our staff is committed to helping you find the best deal our dealership can offer. Come down soon so we can help you get an amazing offer and the options you want. The vehicle of your dreams is only a stone's throw away.